If you are a Toyota shopper in Houston looking for a fresh, youthful and stylish approach to a subcompact sport utility vehicle, then you need to look no further than the All-New Toyota C-HR. This brand new vehicle is Toyota’s first car in the subcompact sport utility vehicle segment and judging from all the early impressions: it is most definitely a hit! From the moment you first lay your eyes on this vehicle, the Toyota C-HR impresses you with its diamond cut precision lines and sporty exterior. Vortex styled 18-inch alloy wheels come standard on the C-HR along with halogen headlights and clustered LED daytime running lights. Each and every exterior feature on the Toyota C-HR essentially show attitude and style, yet the overall build of the vehicle still maintains Toyota’s commitment to building long lasting, dependable high quality cars. New C-HR buyers even get to express their own sense of style by taking their pick from an available list of R-Code color designs including options like Blue Eclipse Metallic, Radiant Green Mica and Ruby Flare Pearl. The C-HR also provides an incredible package of standard equipment that will surprise and delight even the most budget conscious buyers. This brand new subcompact sport utility vehicle is sure to impress both young and more “seasoned” buyers. Bottom line: if you’re in the market for a subcompact sport utility vehicle, the Toyota C-HR should be first on your list. What’s New in the 2019 C-HR? This may be only the Toyota C-HR’s second model year in existence, but it has already made a strong impact among other subcompact SUVs on the market. For the 2019 model year, the C-HR’s trim lineup saw a few changes, with the addition of the LE and the Limited trims, the newly standard Apple CarPlay functionality, and a newly available factory navigation system. The C-HR handles well, with a sporty feel that makes it fun to drive. It also features many premium technology features, safety technology, and comfort and convenience equipment. The interior space is ample to accommodate passengers and cargo alike. With an affordable price tag and value that comes in many forms – namely the C-HR’s long list of features and technology – this subcompact crossover is gearing up for another successful year of sales in an automotive segment that continues to put up some stiff competition. Stop by Mike Calvert Toyota when you’re ready to get up close and personal with this remarkable vehicle and find out how much we can help you save when you purchase or lease from our Houston dealership! Are you in the market for a compact SUV? Are you looking for one that combines legendary quality and dependability with a fresh, new, aggressive design? If so, the all-new Toyota C-HR is the perfect choice for you and your lifestyle! This all-new Toyota SUV is available now along with a great selection of other Toyota cars, trucks, vans and sport utility vehicles at Mike Calvert Toyota. Our knowledgeable, professional staff is ready to assist you with any questions or concerns you might have and can arrange a test drive today. 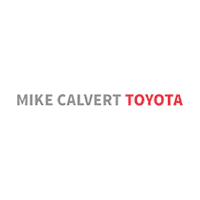 If you live in the Woodlands, Sugarland, Pearland, Missouri City or anywhere around Houston, Mike Calvert Toyota is conveniently located close to you. Come by today and experience the all new Toyota C-HR for yourself.